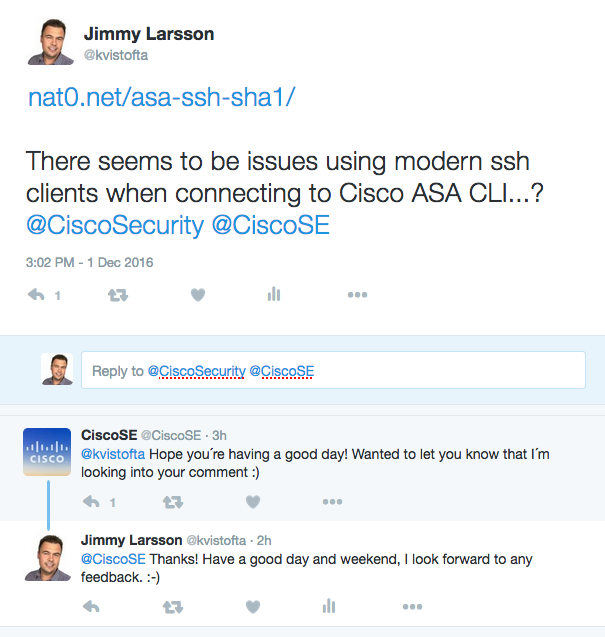 Short story: With SSH-clients based on OpenSSH 7.0 (like my OSX Mac) I cannot connect with SSH to a Cisco Firewall. To connect anyway I must add the parameter -oKexAlgorithms=+diffie-hellman-group1-sha1 to ssh. The permanent and much better solution is of course to tell the ASA not to use sha1. Unfortunately this is not possible. As a sidenote there is a new feature that comes with version 9.6(1) and 9.1(7). 5506(config)# ssh cipher integrity ? 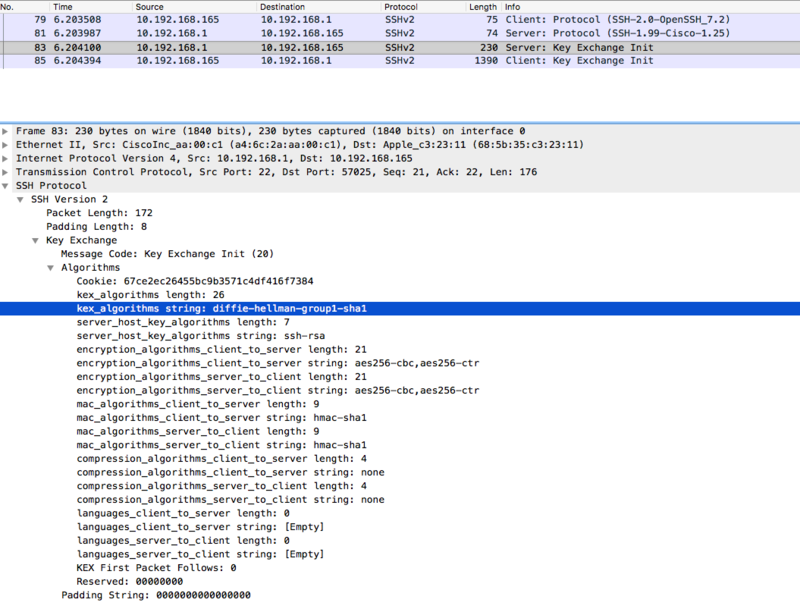 custom  Choose a custom cipher integrity configuration string. 5506(config)# ssh cipher encryption ? custom  Choose a custom cipher encryption configuration string. 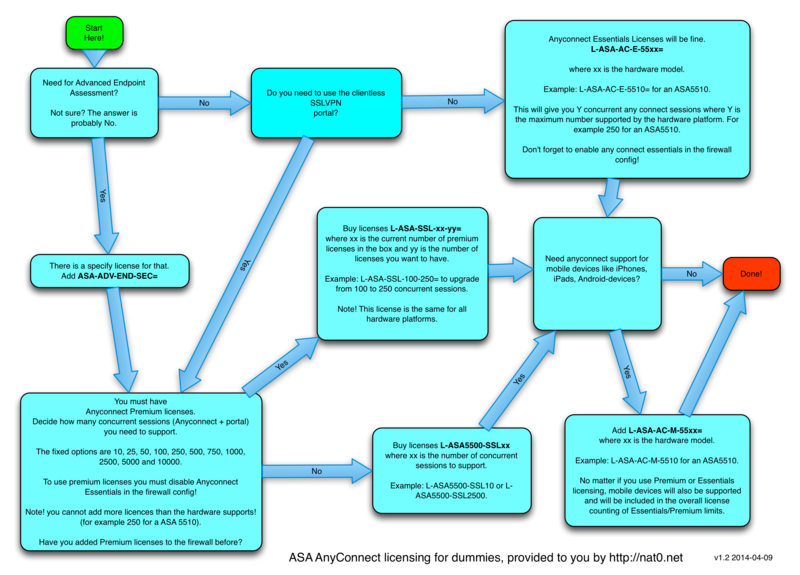 Let´ see how the SSH negotiation looks like. It is Wireshark´O-clock! 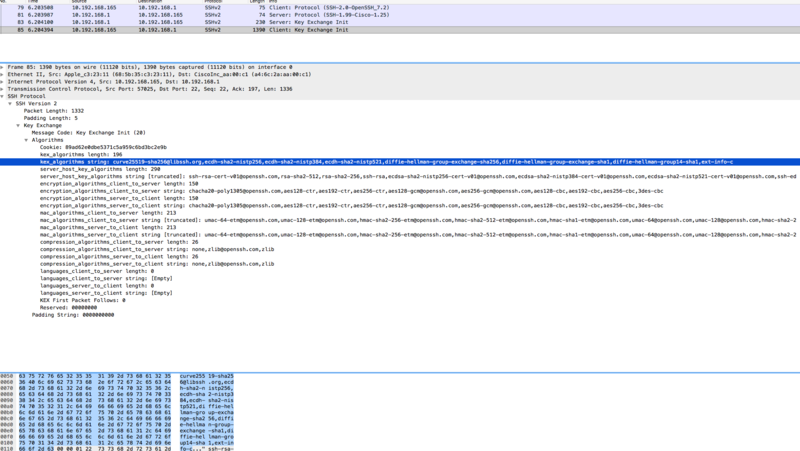 And this image (click for a larger version) shows the reply from the client which is a bit more flexible, offering a lot of different protocols for key exchange, including “diffie-hellman-group-exchange-sha1” which sounds pretty close to “diffie-hellman-group1-sha1” if you ask me. If someone can tell me the difference between “diffie-hellman-group-exchange-sha1” and “diffie-hellman-group1-sha1”, please write a comment. In the meantime while waiting for Cisco to update the ssh protocol suite in the ASA, use the workaround-parameter stated above. 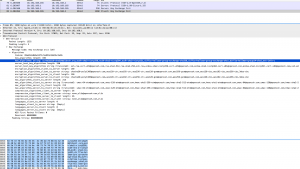 There is a new command in Cisco ASA firewall that makes a full backup of the firewall, from CLI! Until recently we have been forced to use ASDM to download a full zip backup file from the device or CLI to just do a “show run”. The command “backup location url” creates a full backup zip file of the device, including files on flash, certificates, startup and running-config and more, and sends this to the url. This is good news! In the video I show how it works. In this video I explain how ICMP Traffick (like pings, echo, echo-reply) is handled in the firewall. The ICMP packets are being handled in 3 different ways depending if the traffic is to the box, from the box or thru the box. Certain parts of the configuration needs to be taken care of depending of what you want to achieve, especially access-lists, the global icmp permit and icmp deny command as well as the fixup procol icmp modular policy framework command. 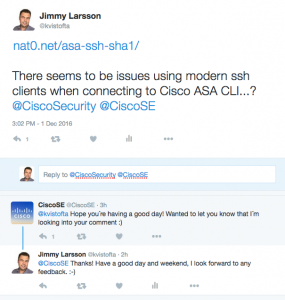 The Cisco ASA contains a builtin scp server. By enabling that you can use the scp protocol to transfer files to and from the server using an scp client. scp is a secure file transfer protocol. It is almost like ftp but it runs over ssh. So in order to enable the scp server in the firewall you must first enable ssh access from the client to the firewall (creating rsa keys, allowing source ip to manage firewall using ssh and so on). When that is done the scp server can be enabled with the command… “scp server enable” (duh!). Now you can use the scp client in your machine to copy files to and from the firewall flash in a secure way! Look at this video where I explain and demonstrate the feature. Installing a new Firepower image on Cisco ASA 5506 seems to take forever. Sometimes we get output to see that the process is still running, and sometimes not. I have actually recorded the entire process and shrinked down the progress from almost 2 hours to less than 4 minutes. I think that watching this video will help anyone in the need to reimage FirePower to understand the different stages of the process.